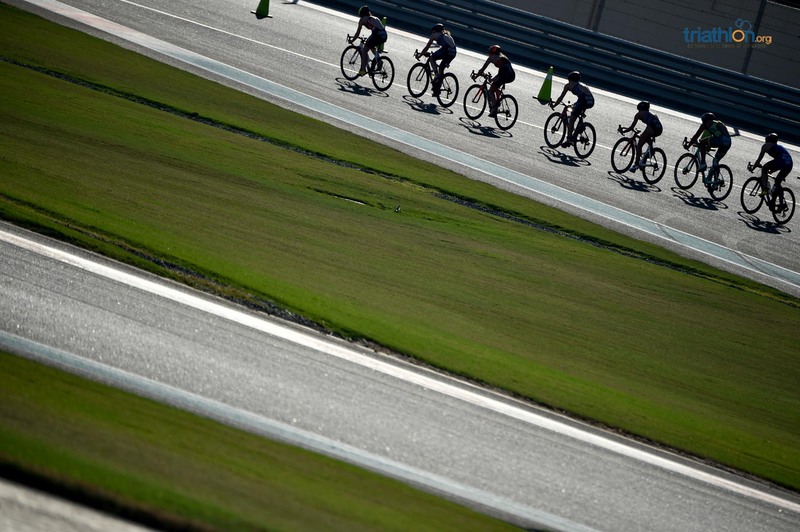 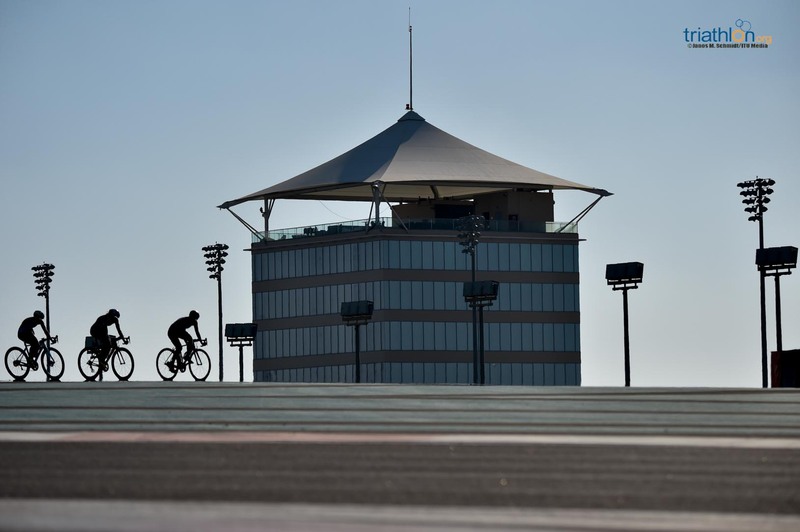 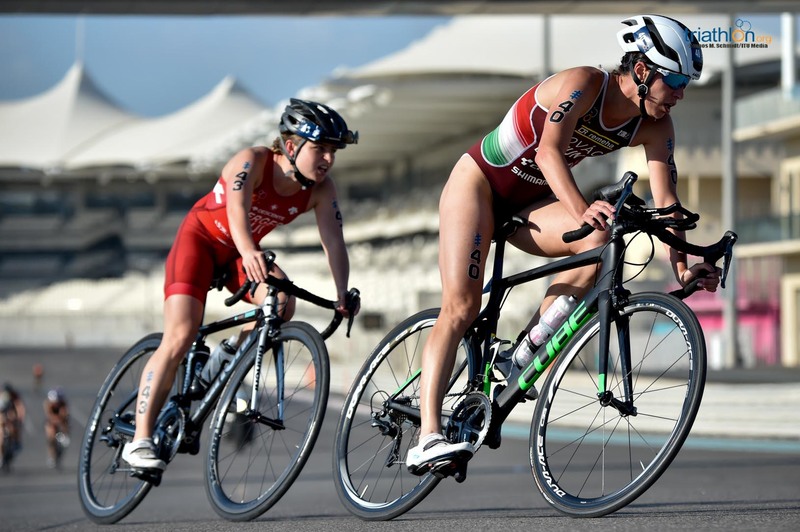 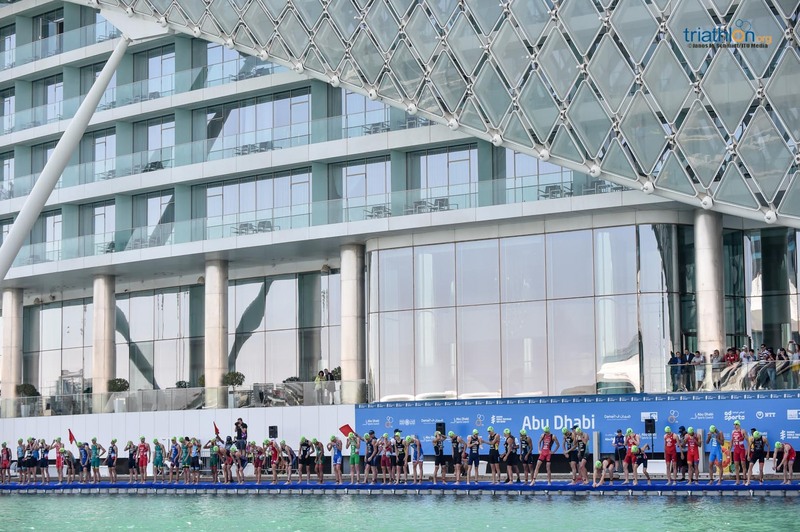 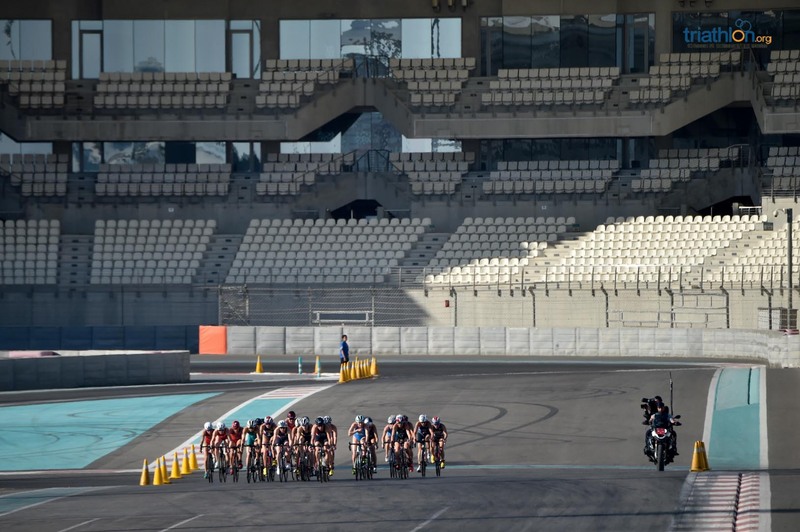 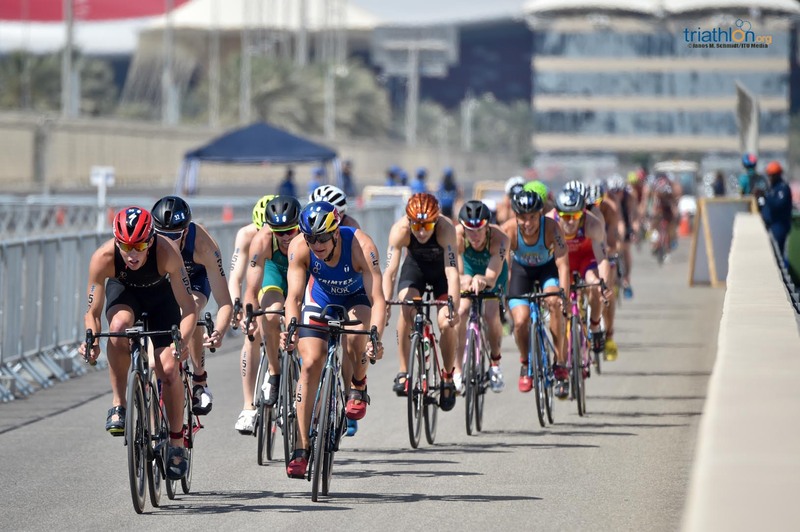 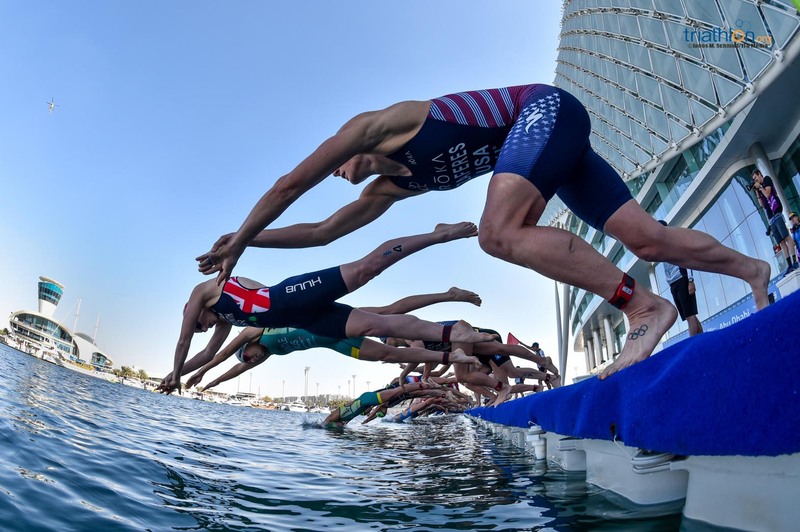 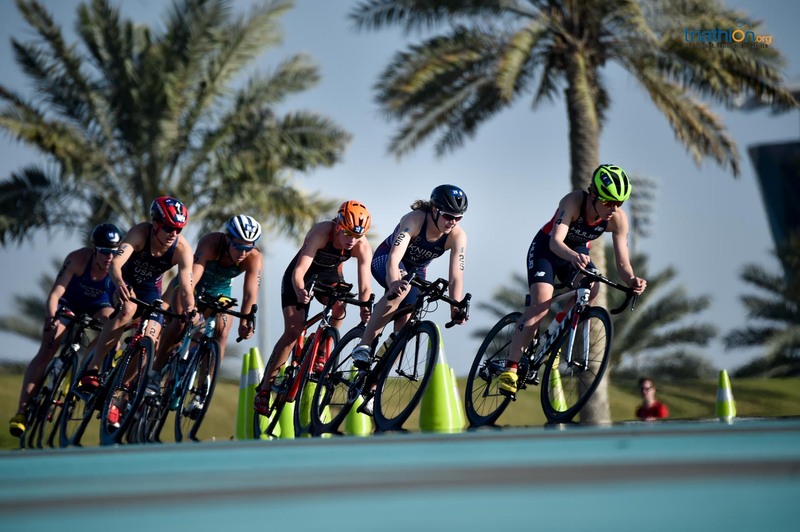 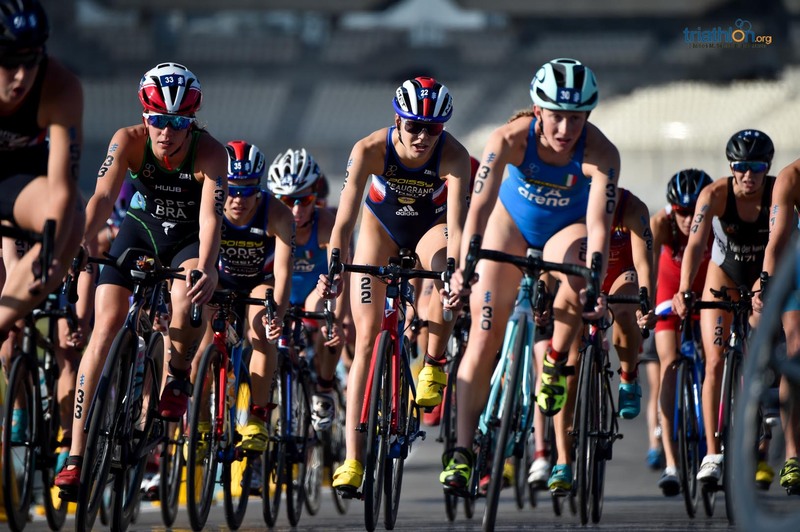 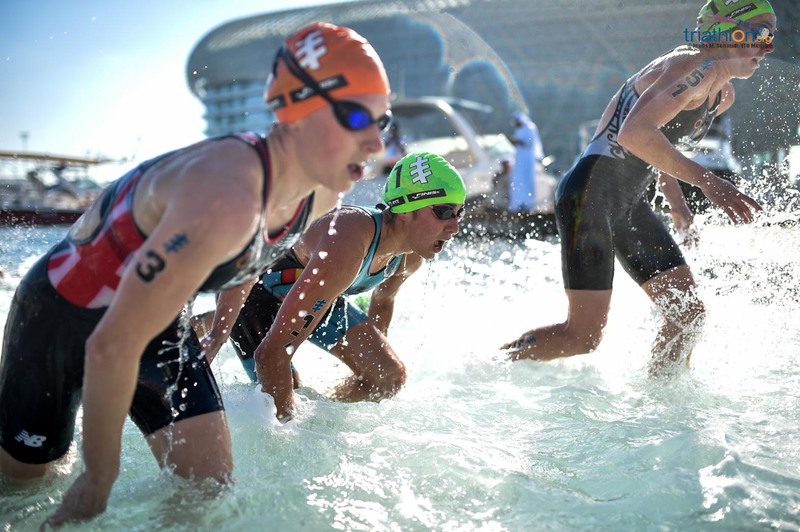 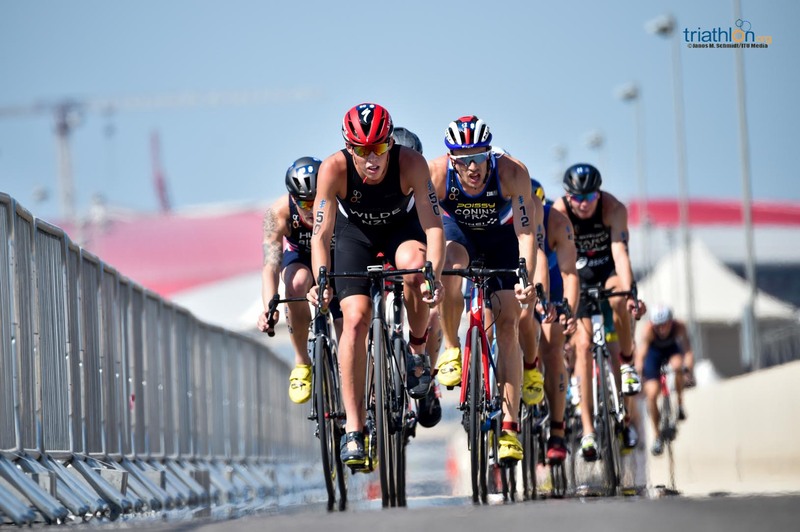 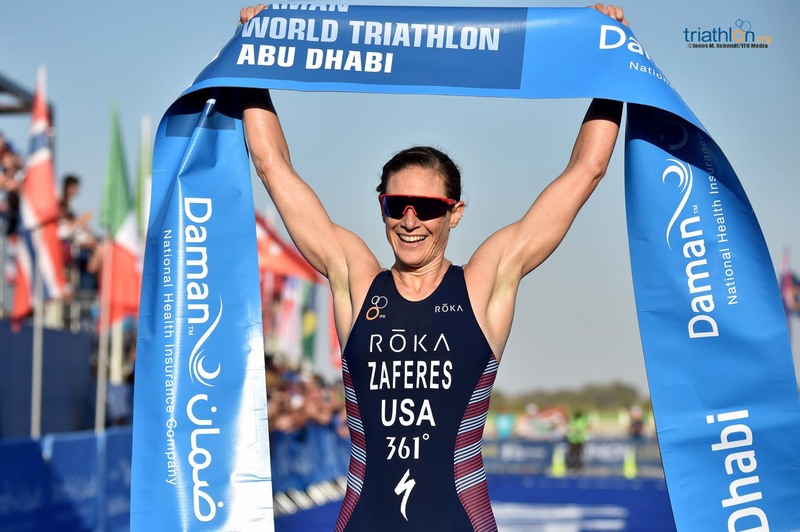 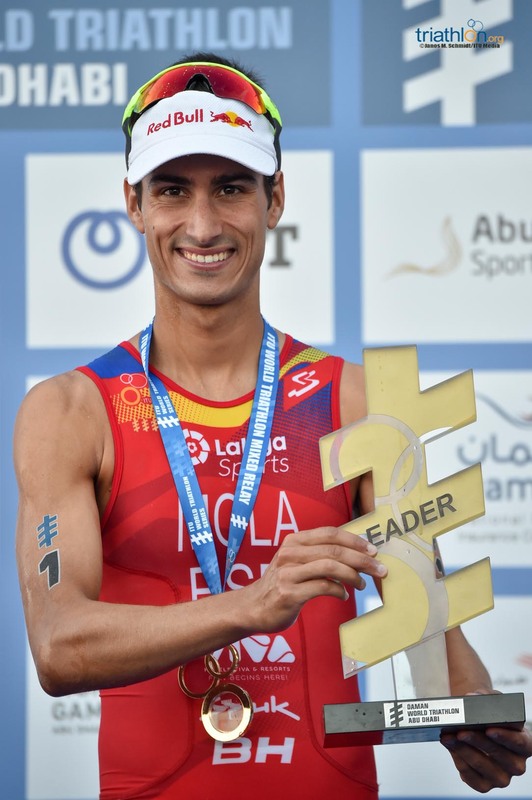 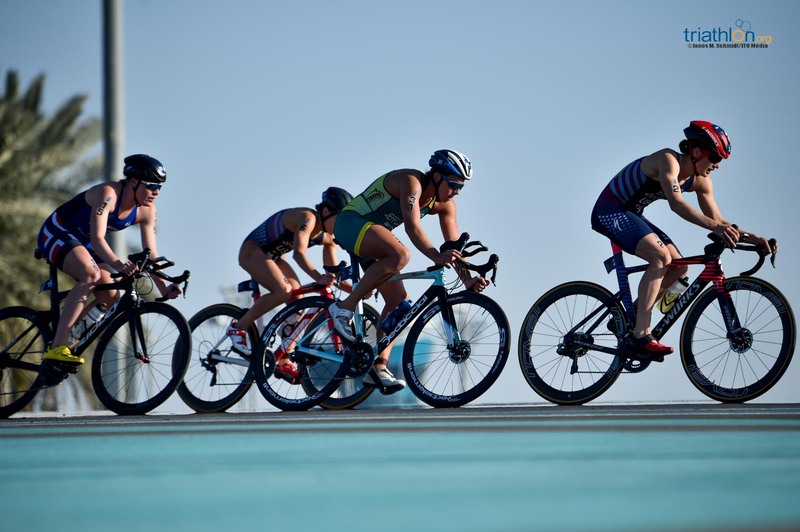 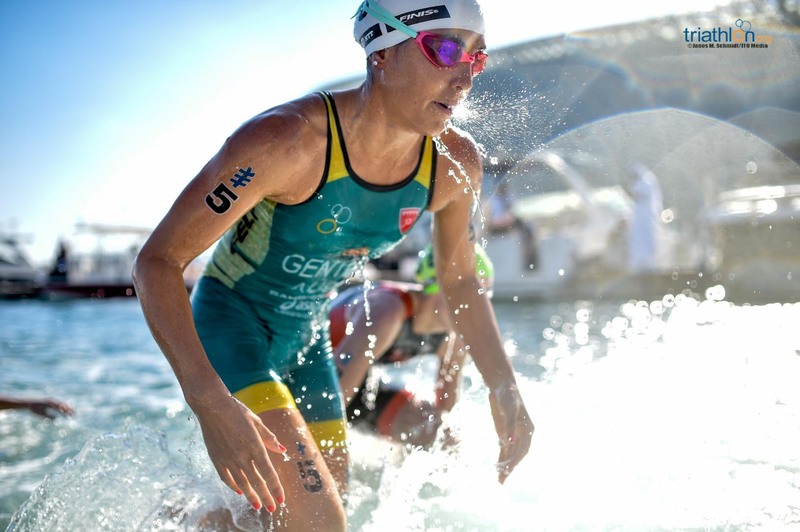 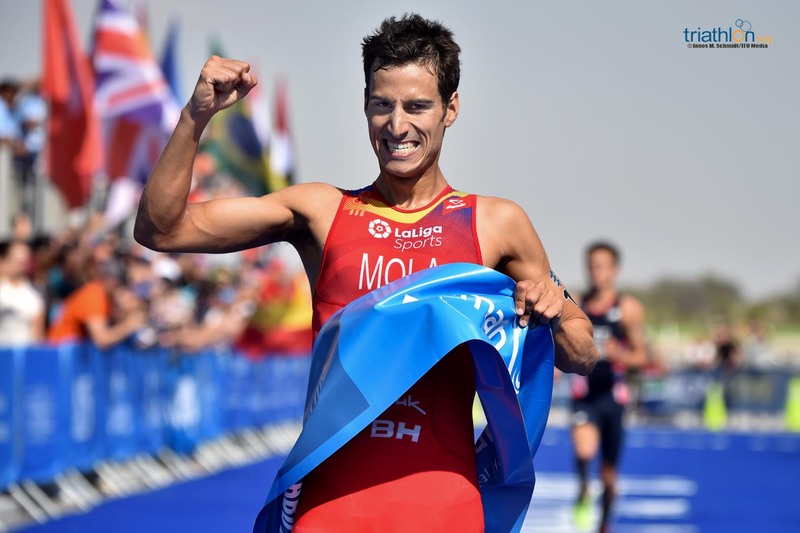 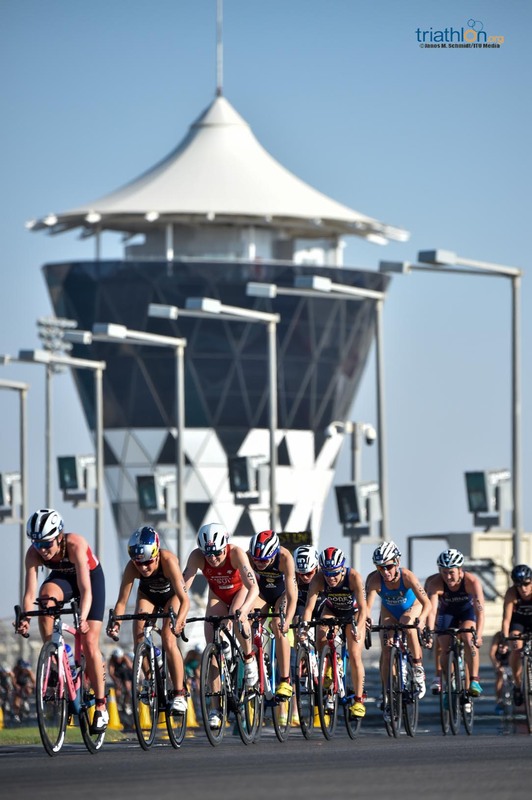 Defending ITU World Champion Mario Mola made the most of near-perfect conditions at Yas Marina to take the tape at WTS Abu Dhabi and begin the 2019 season with the kind of majestic display to which we have become accustomed. 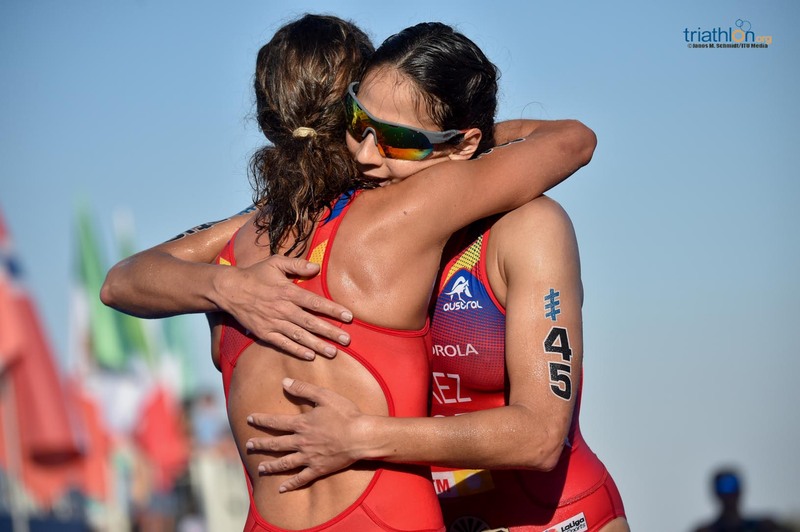 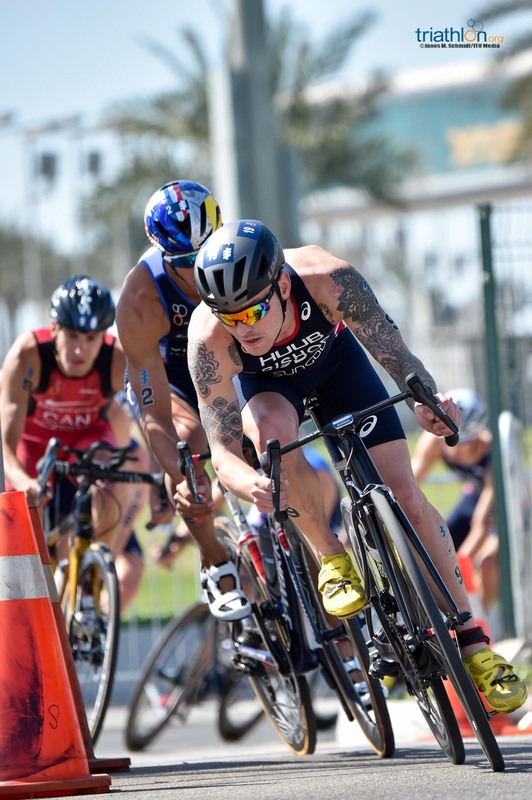 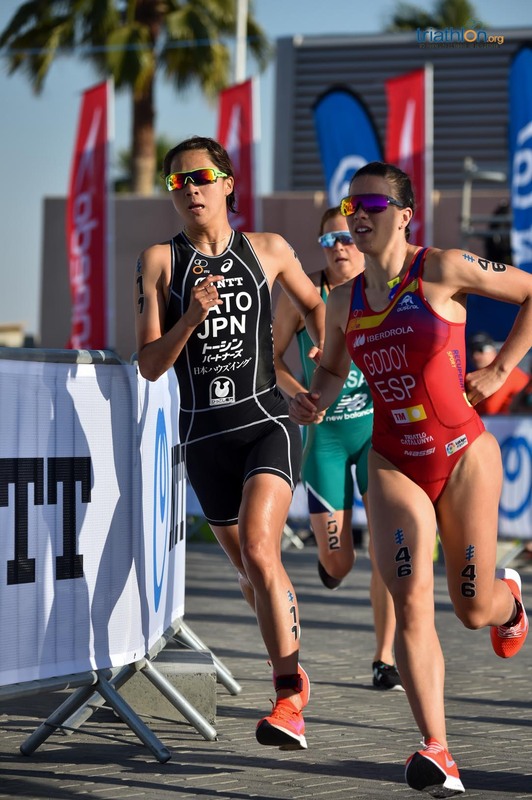 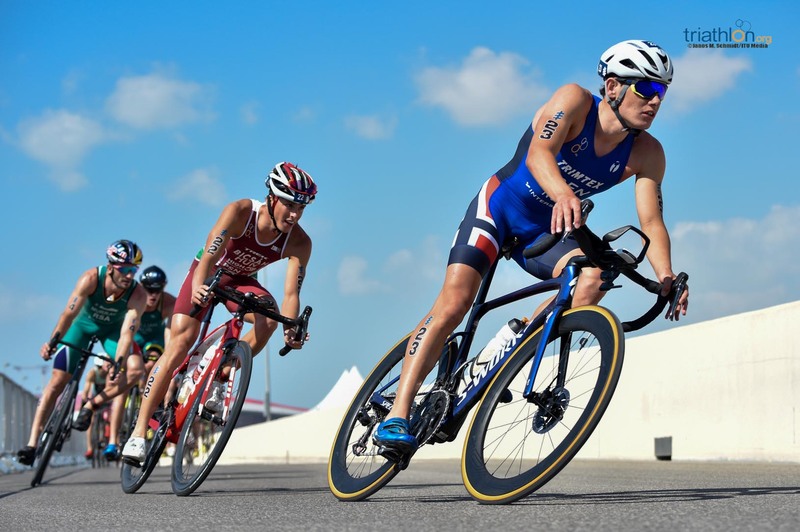 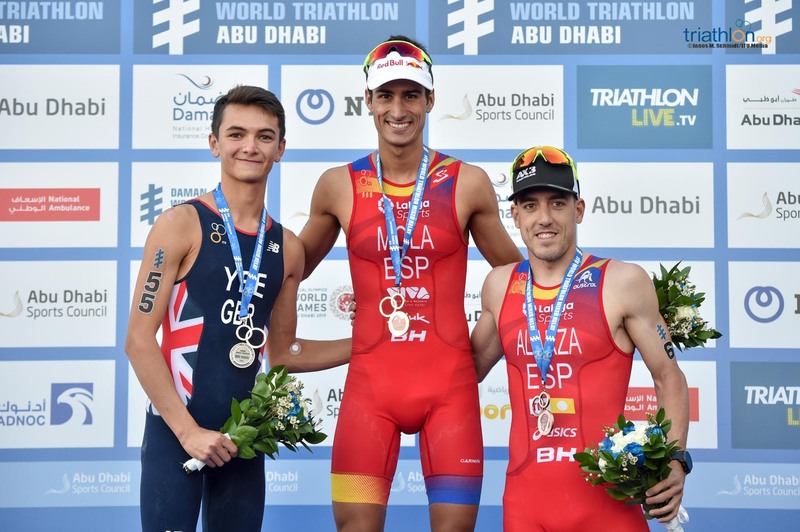 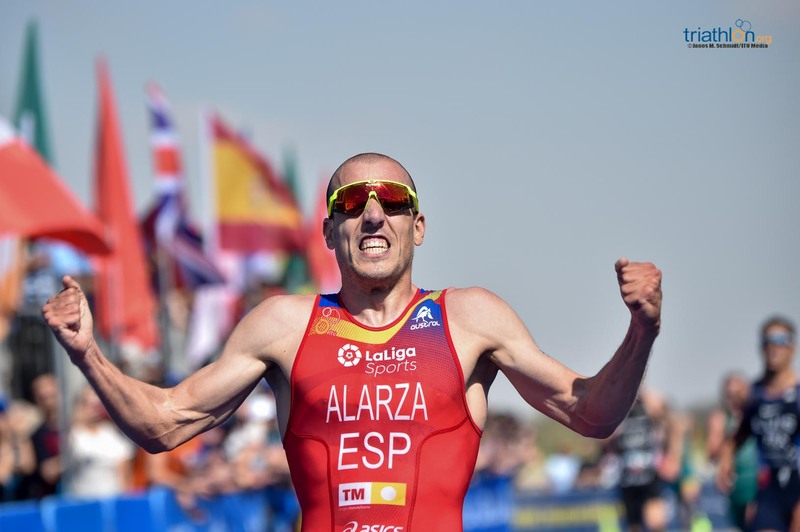 Great Britain’s Alex Yee impressed hugely on his WTS debut, sticking with Mola for much of the run to grab a brilliant silver, Spain’s Fernando Alarza summoning a powerful finish for the bronze. 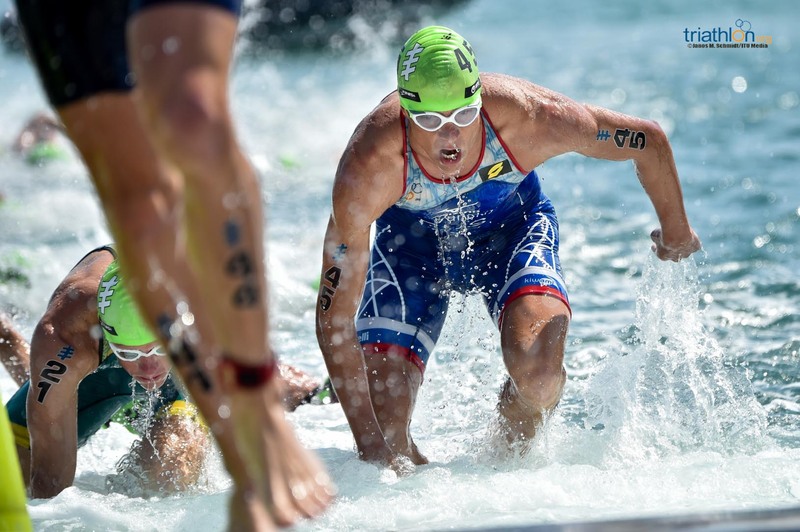 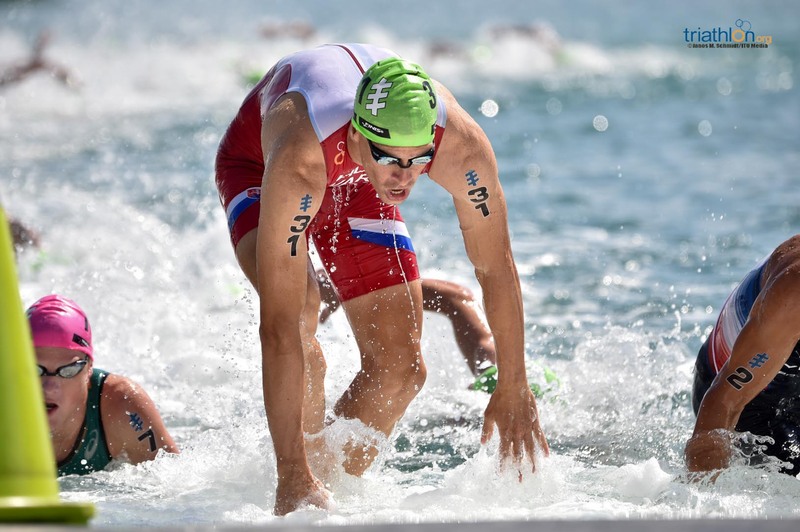 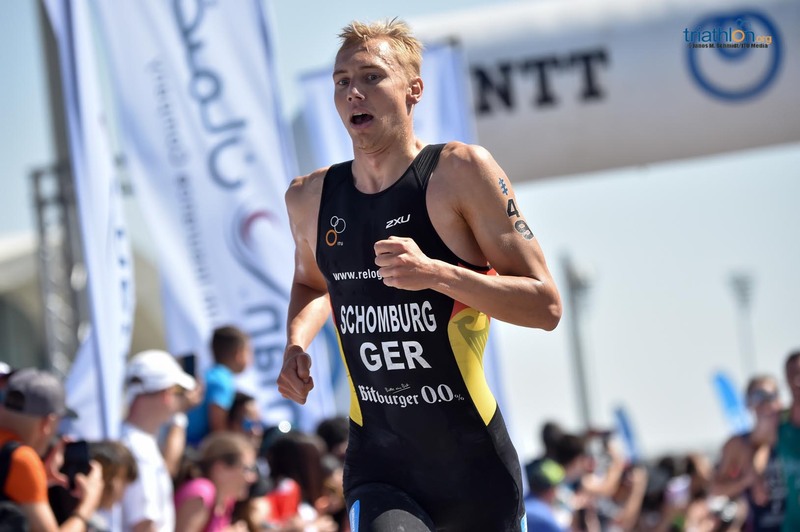 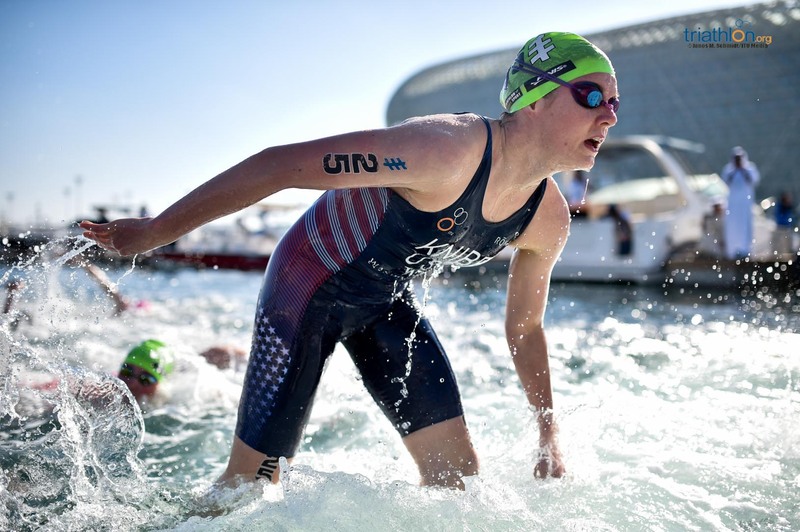 All of the ten top-ranked male athletes of 2018 took to the start line, but it was once again Richard Varga (SVK) who took up position at the front of the swim early on along with Alois Knabl (AUT). 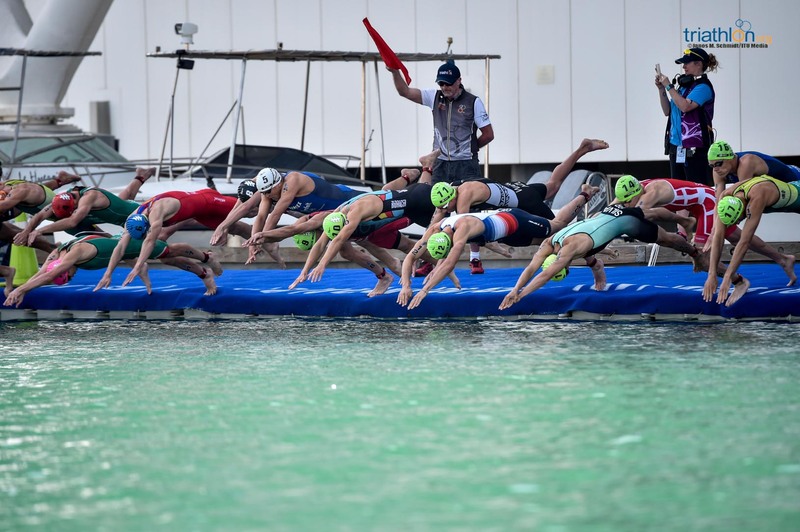 Behind them the pack’s arrow formation made the first buoy a major test for the bulk of the field and while it began to stretch out, Vincent Luis (FRA) and Henri Schoeman (RSA) were able to keep themselves in the front eight along with Ben Kanute (USA) Sam Ward (NZL), with Mola (ESP) well set in the middle. 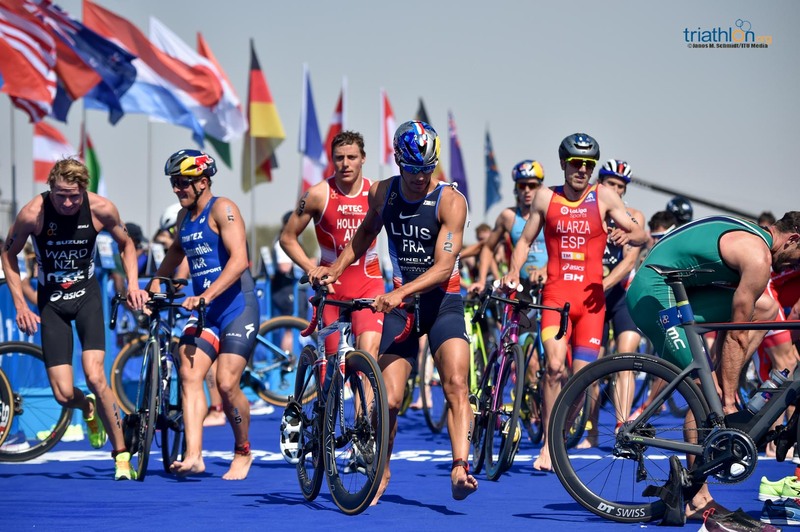 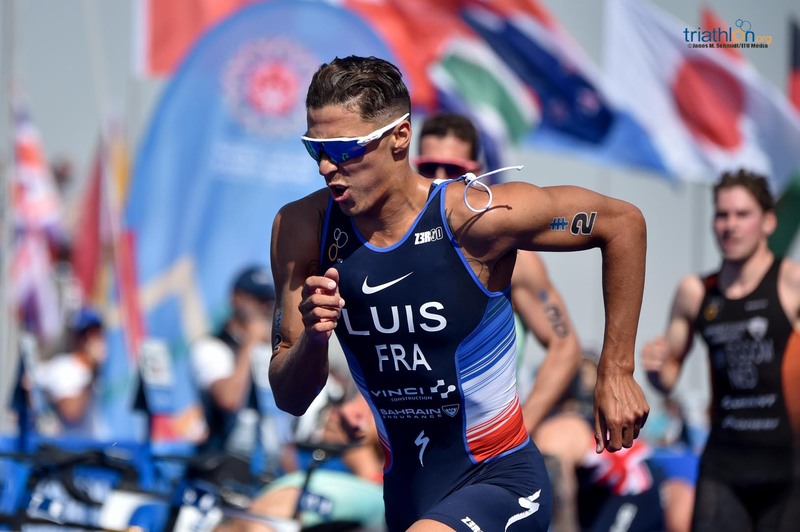 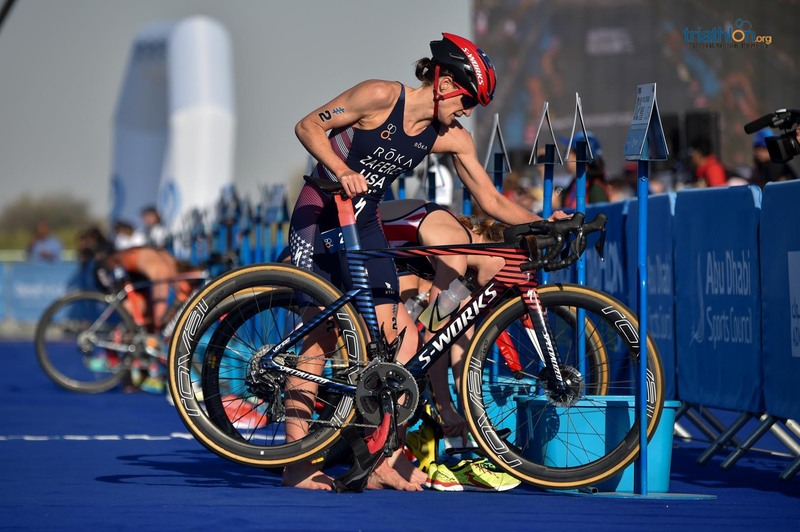 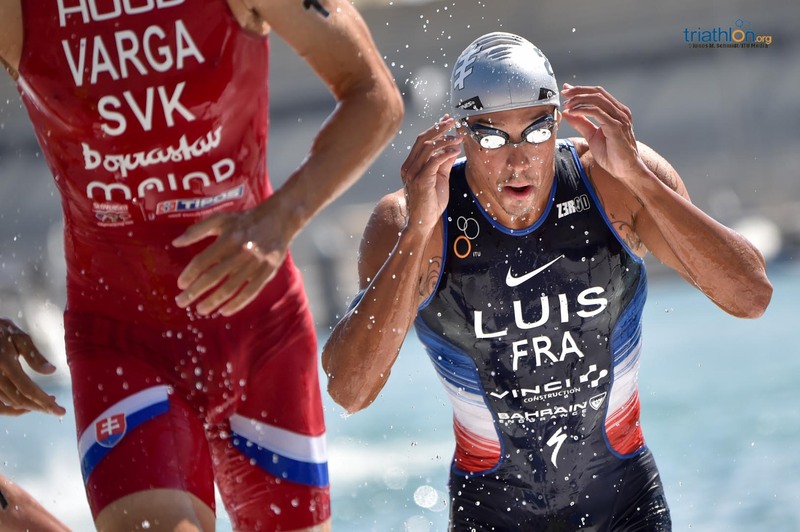 Luis had worked his way to the front by the end of the 750m swim, emerging with his thoughts firmly on a clean transition and it was the Frenchman first onto the bike along with Kanute and Schoeman. 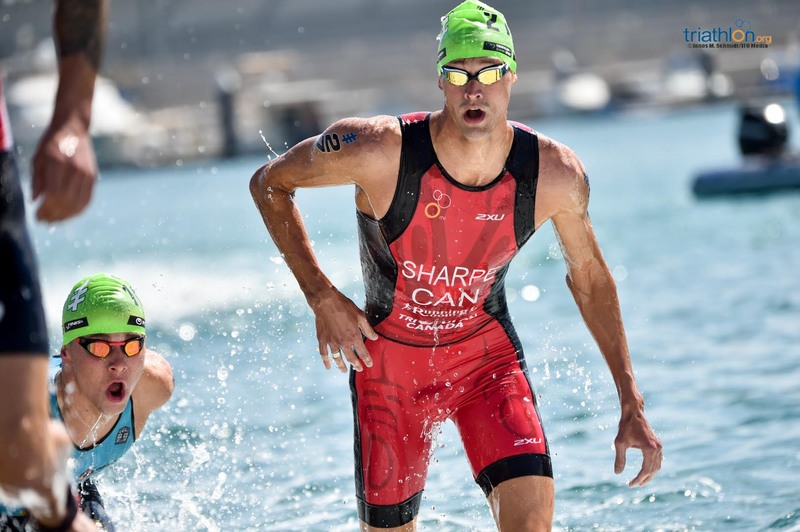 Some six seconds behind that trio, a pack of twelve was giving chase and, after initially struggling to get themselves organised, Matthew Sharpe (CAN) and Marten van Riel (BEL) led the effort to close down the leaders so that after 3km, a train of 15 athletes had formed. 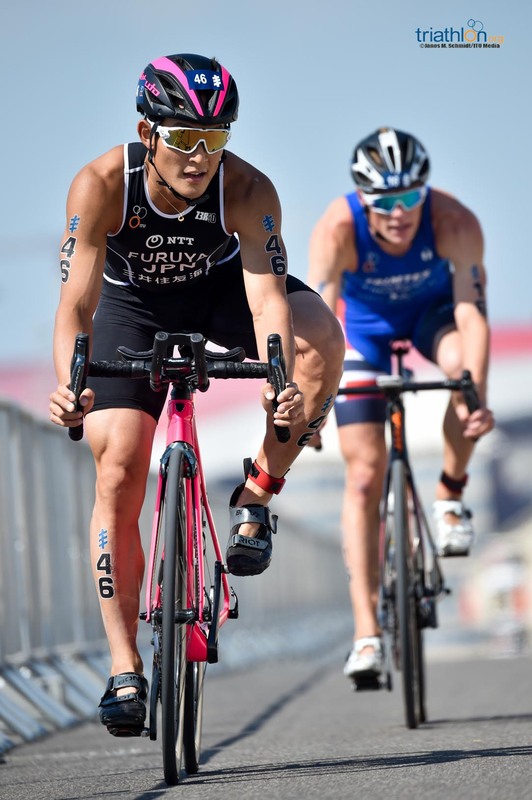 Jumpei Furuya (JPN) and Ryan Baillie (AUS) were among the athletes to come off at the first sharp turn of lap two, but the chase pack 11 seconds off the front was now a formidable group including Mola, Shachar Sagiv (ISR) and Kristian Blummenfelt (NOR) along with debutant Alex Yee hoping to stay in touch and keep enough in the tank to deliver his trademark explosive run. 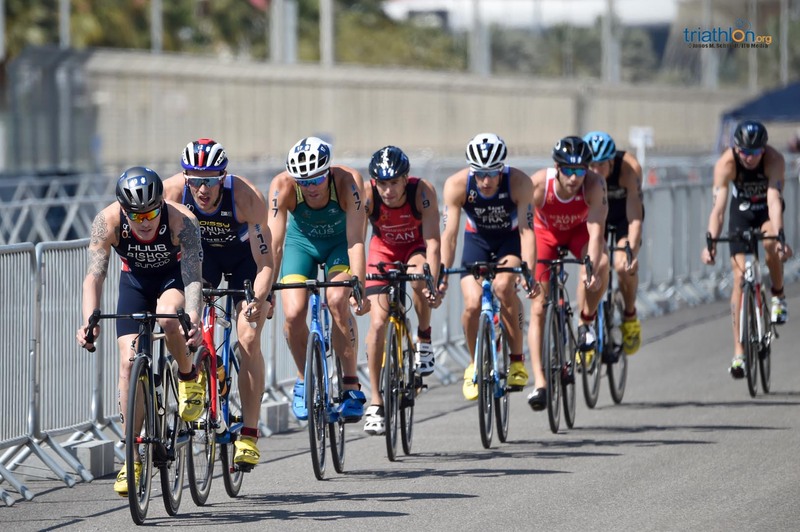 With two laps to go on the bike, Hayden Wilde (NZL) assumed the front with a solid train of more than 40 riders settling behind him, the big runners including Jacob Birtwhistle (AUS), Fernando Alarza, Vincent Luis and, of course, Mario Mola evenly spread among them. 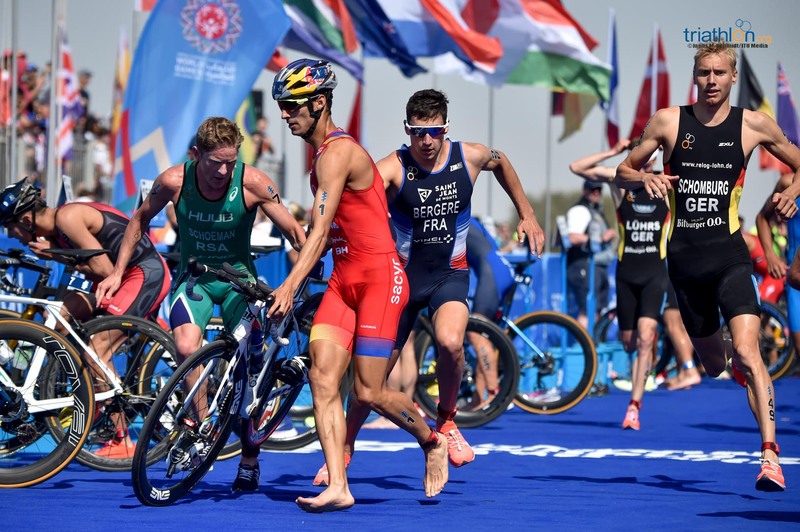 Richard Murray (RSA) knew he would have to go easy on the tendon issue that had kept him from full running in pre-season, and he jockeyed to the front into T2 but it was Wilde still out front as the run got underway, Yee now 9 seconds off and well set alongside Luis, as Mola also looked to work through the field. 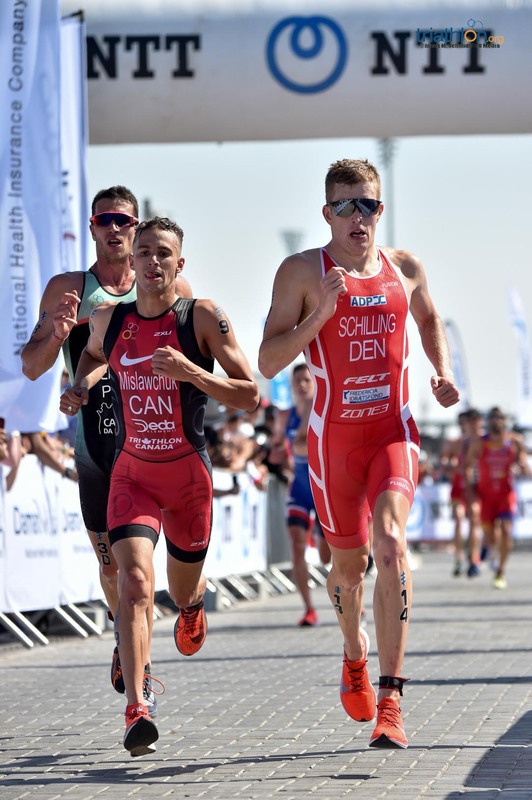 After a kilometre it was Wilde already stretching away to test a quartet of Schoeman, Sam Ward (NZL), Jonas Schomburg (GER) and Leo Bergere (FRA) now behind him, with the New Zealander looking very comfortable in his stride. 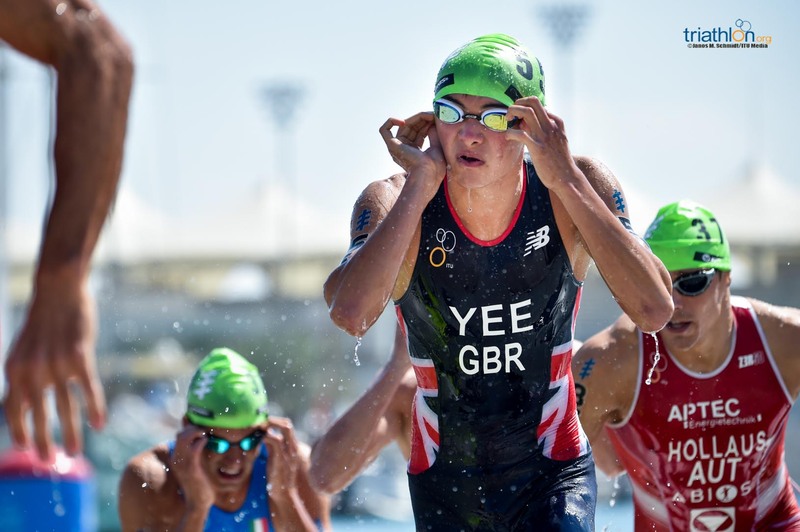 Alex Yee and Vincent Luis then joined the chasers 5 second behind Wilde, before Yee made his move with 2km gone, just as Mola eased into position on the Brit’s shoulder. 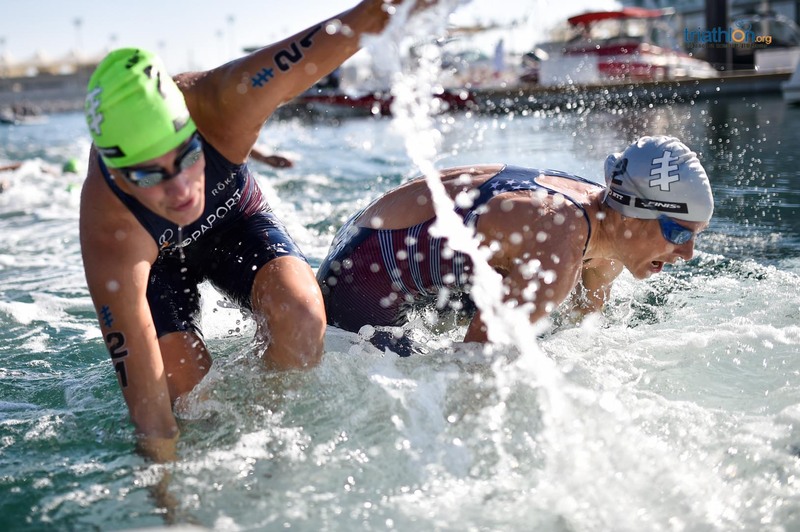 At the halfway point, Yee closed in on and then passed Wilde, before Mola eased to the front with 1700m to go. 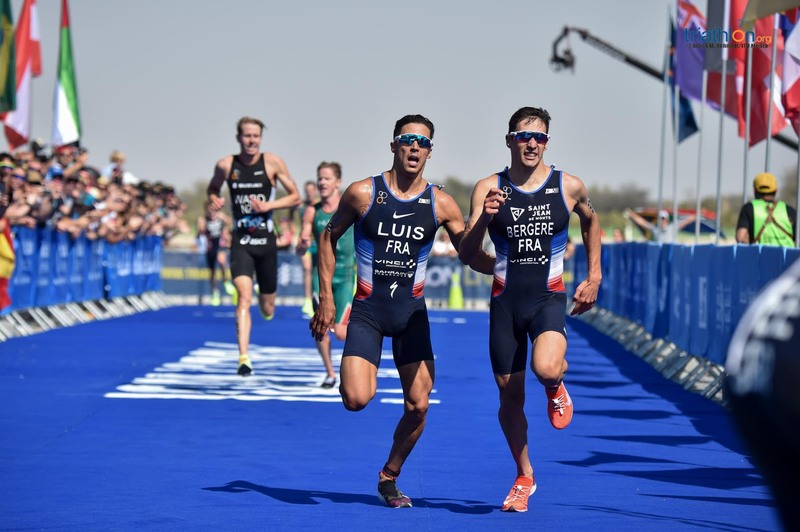 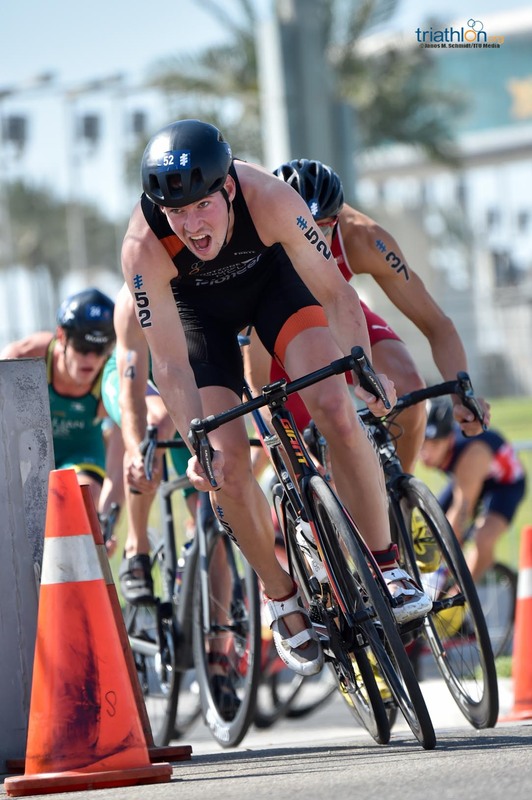 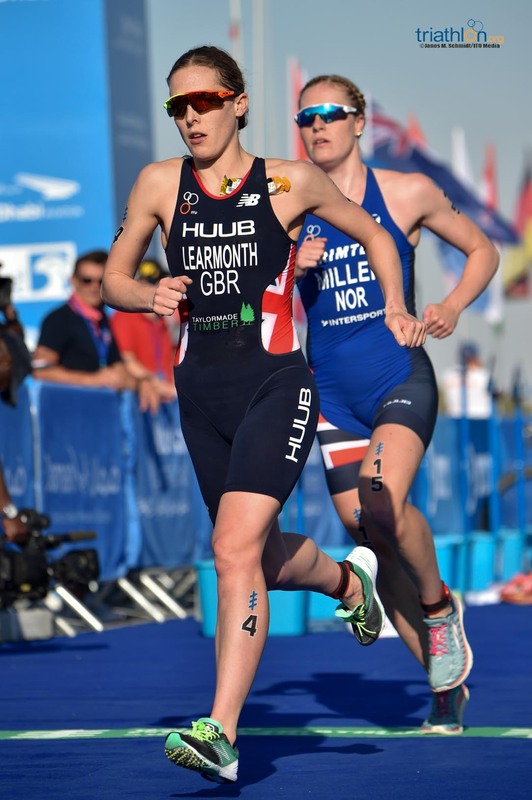 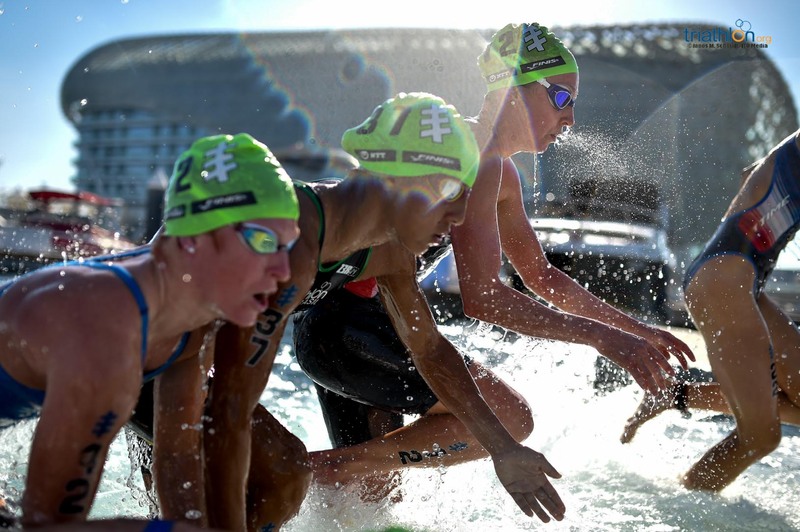 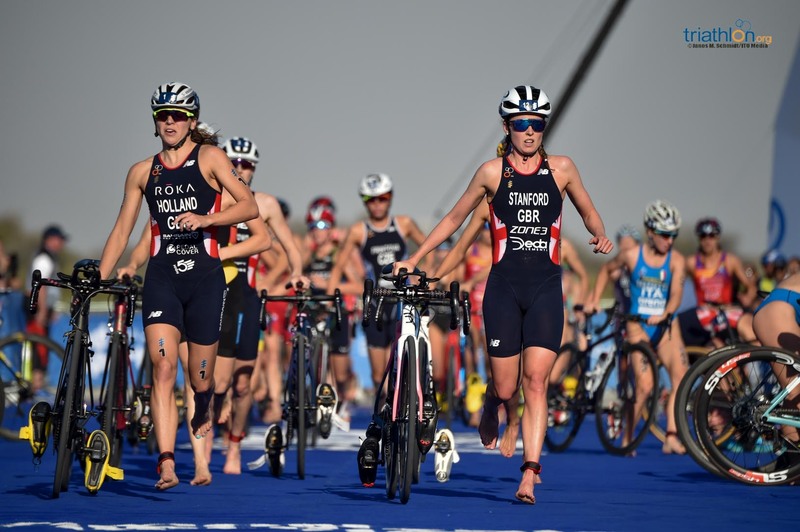 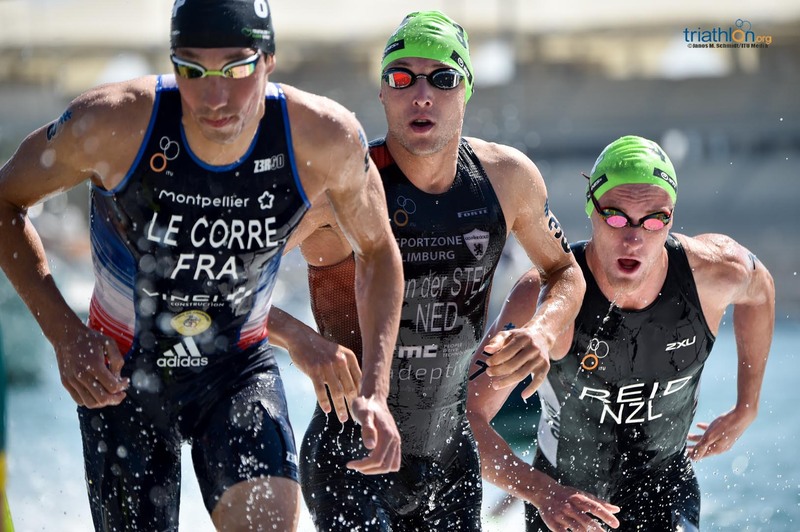 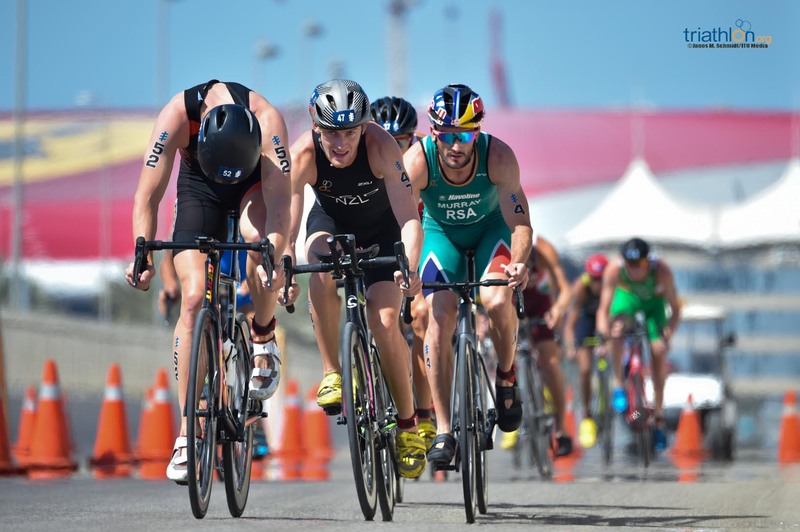 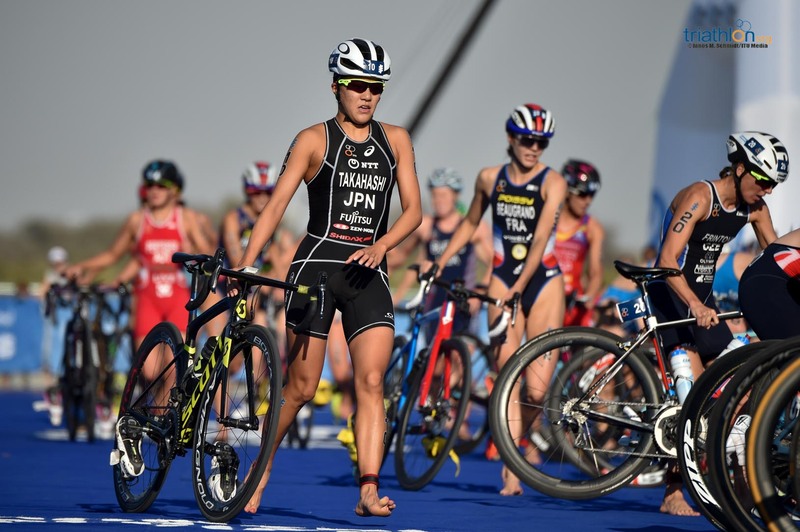 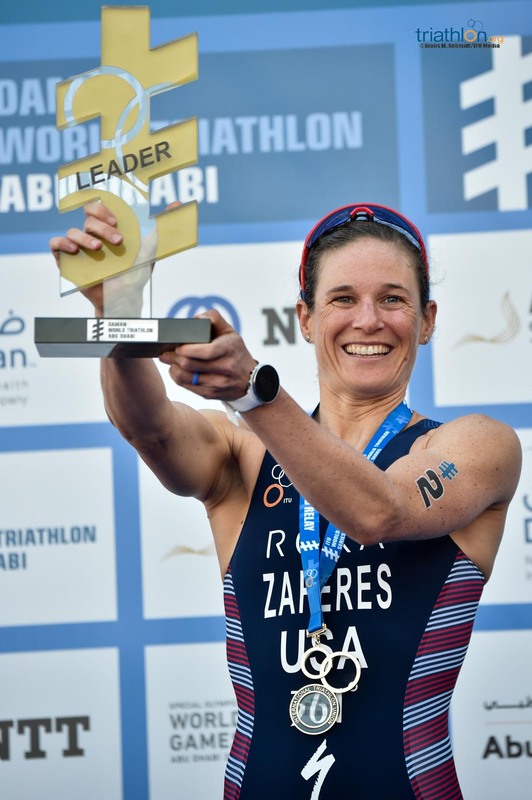 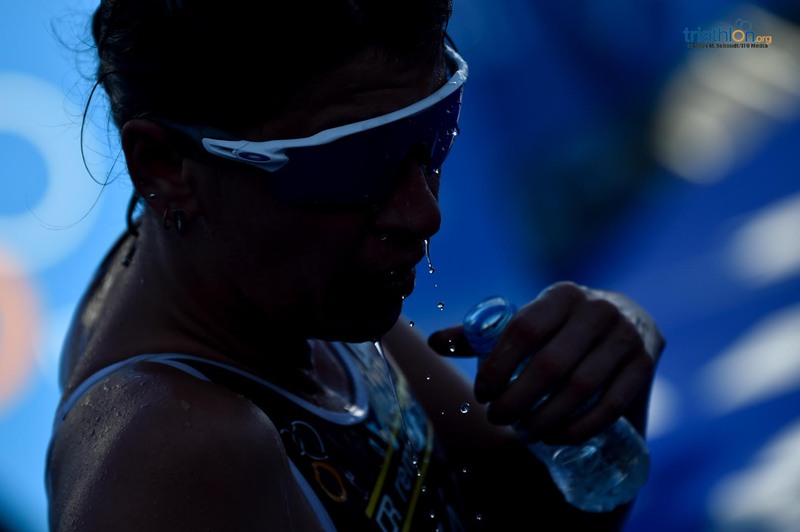 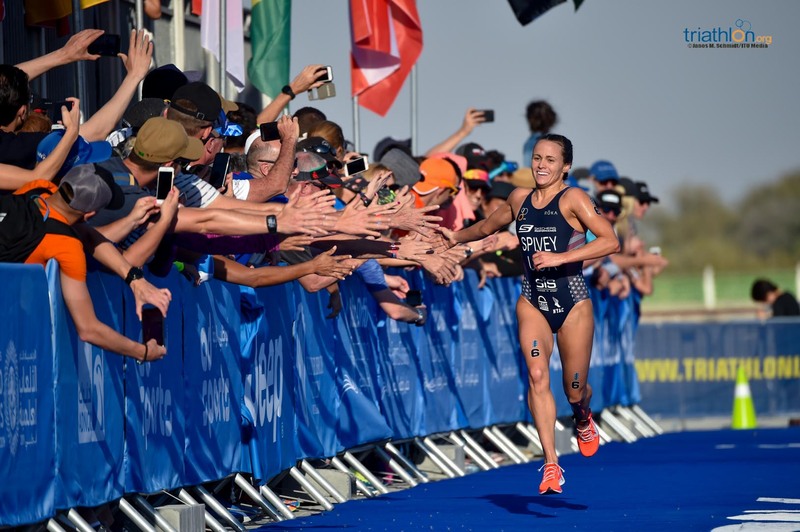 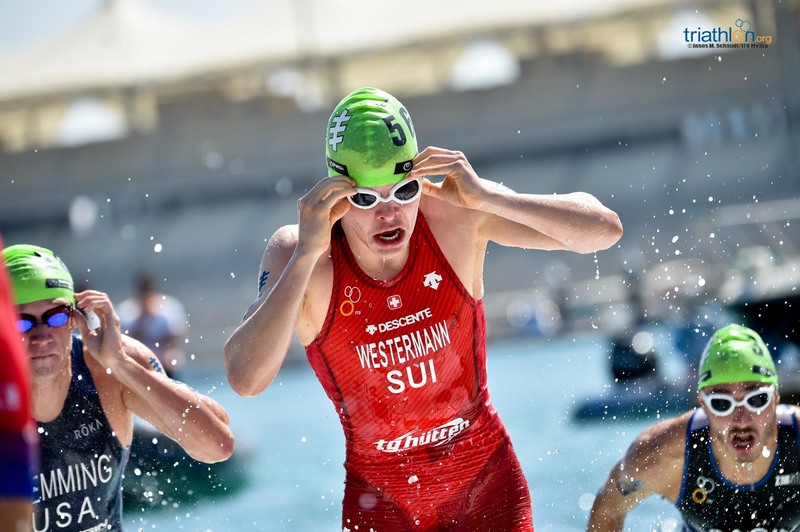 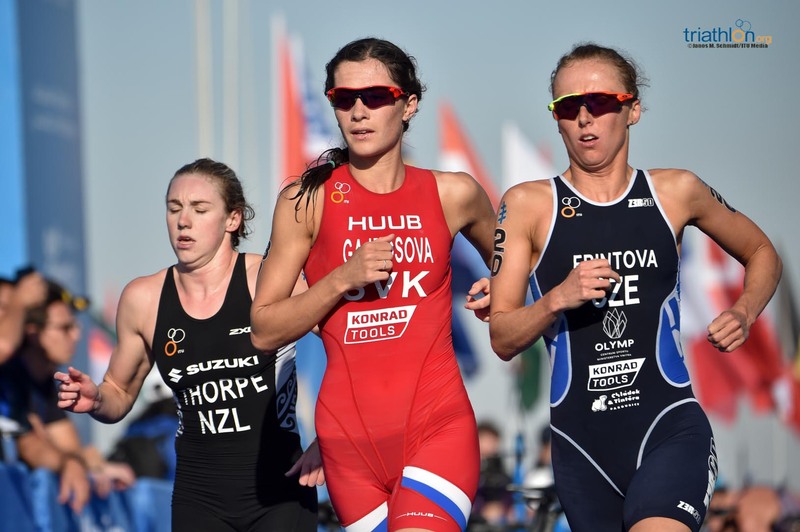 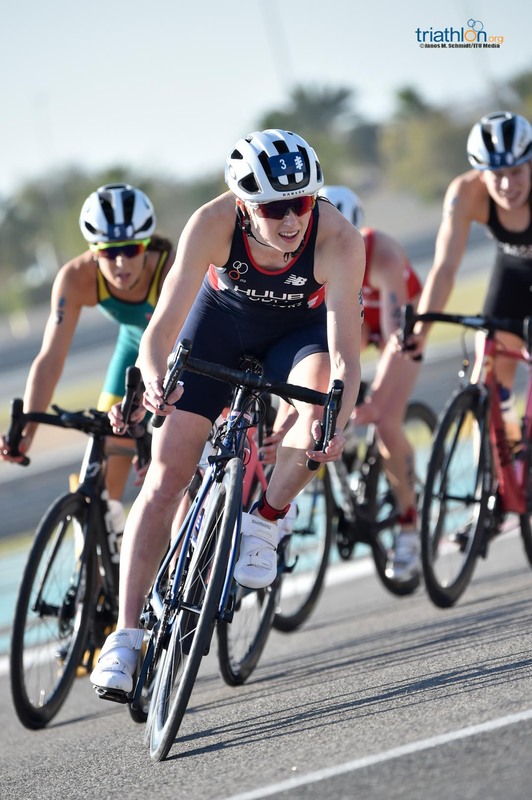 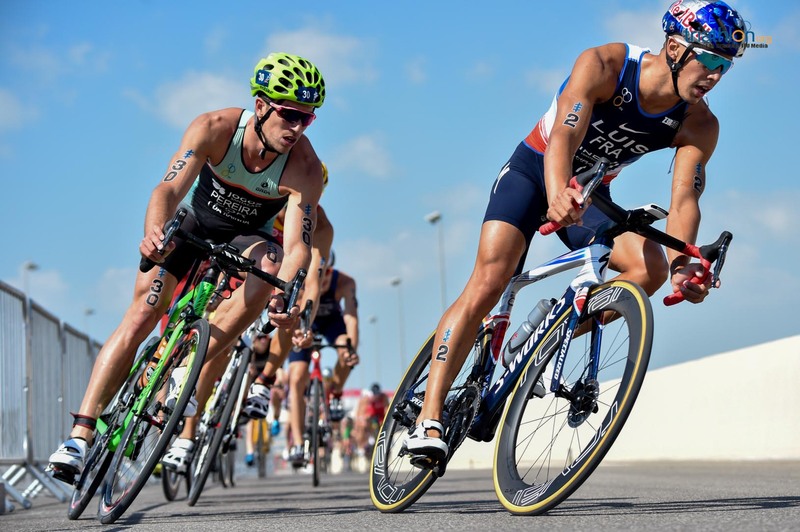 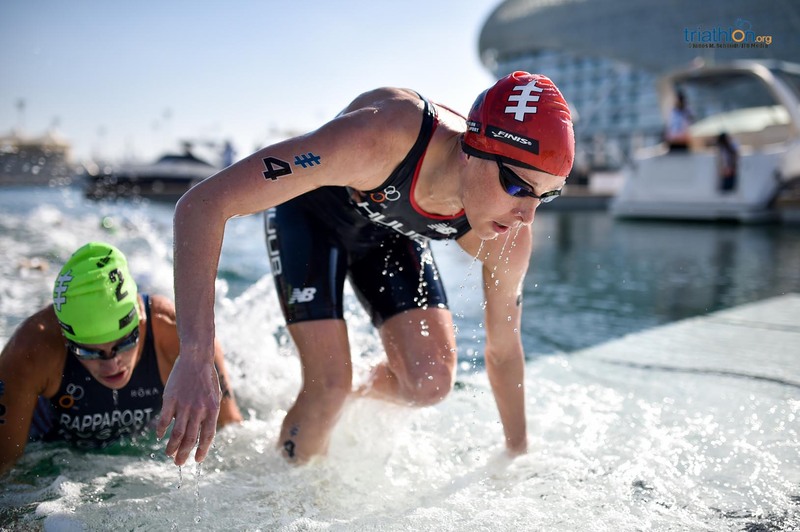 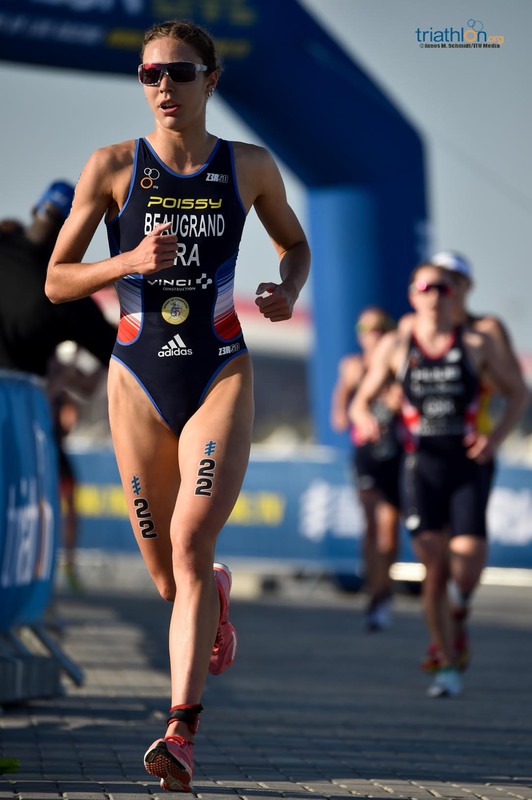 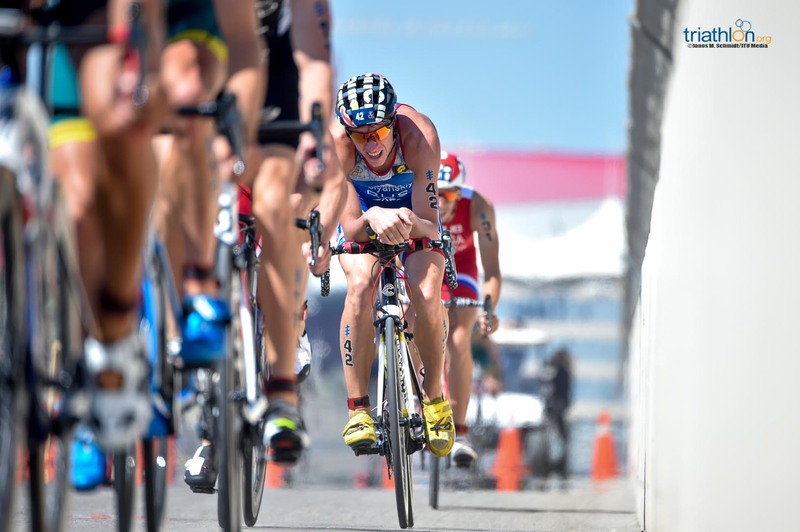 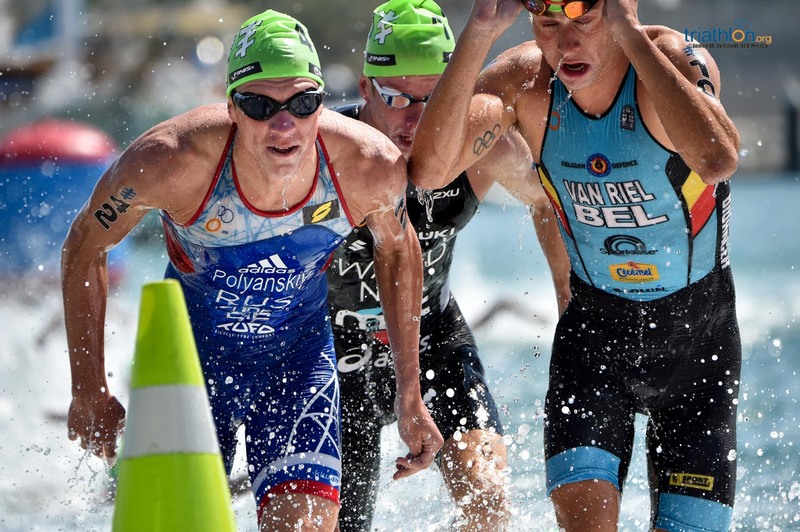 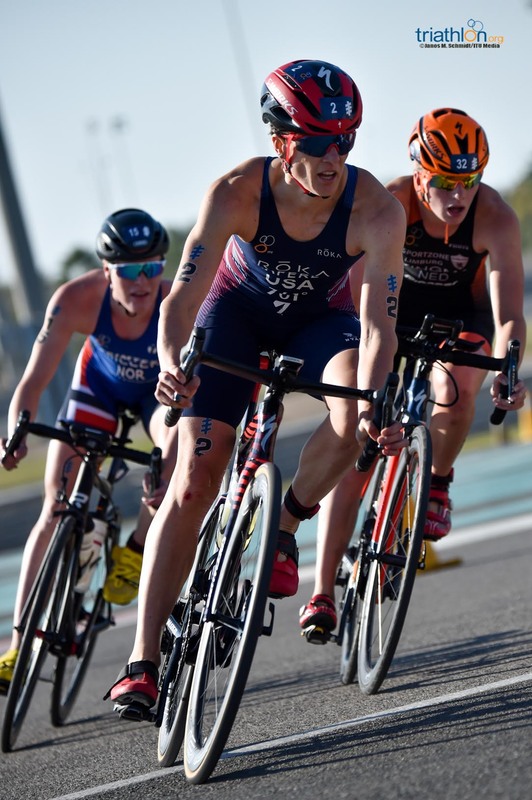 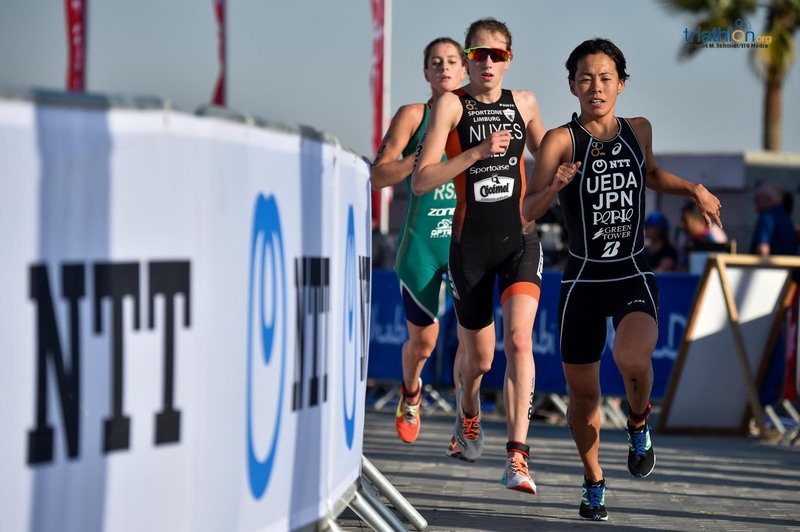 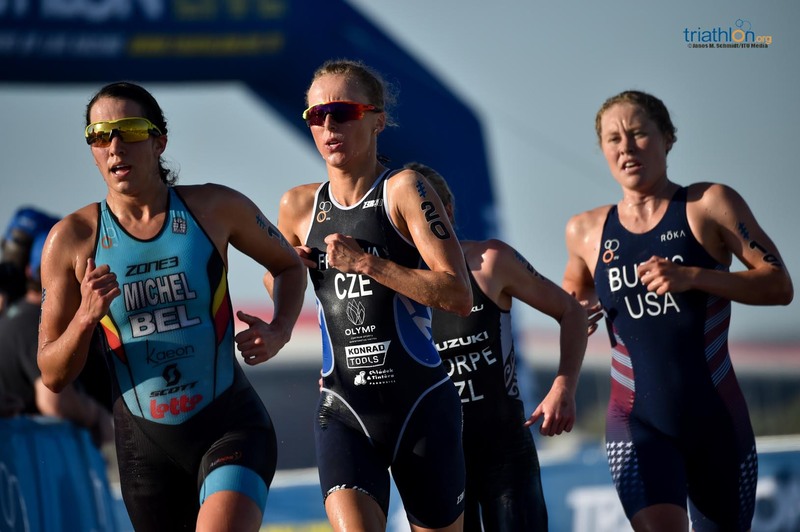 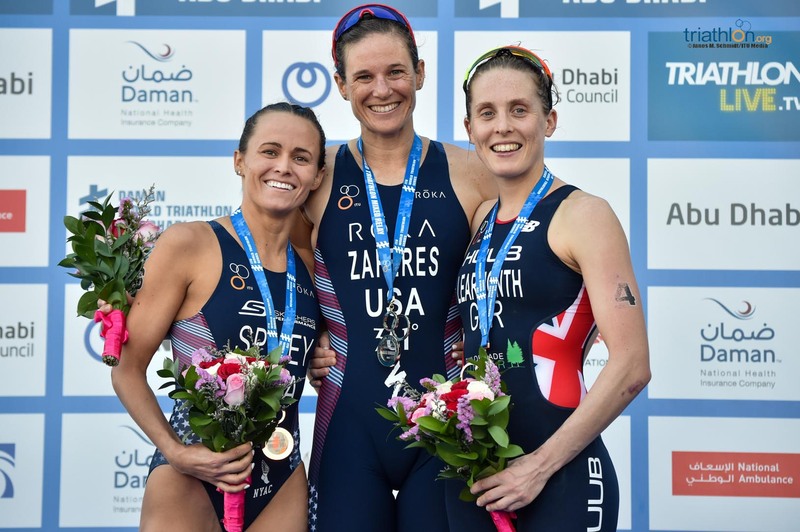 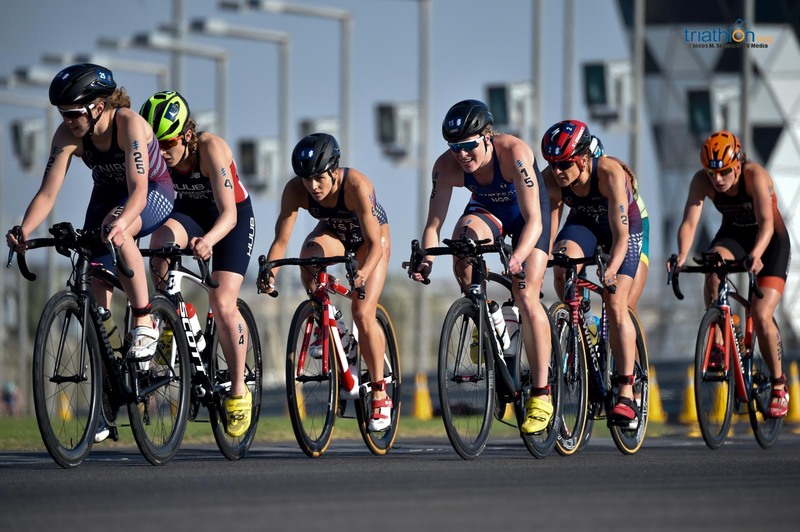 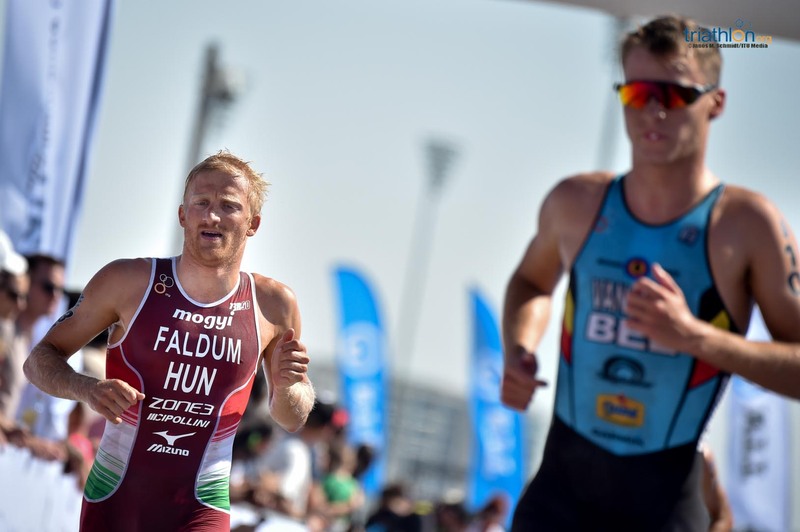 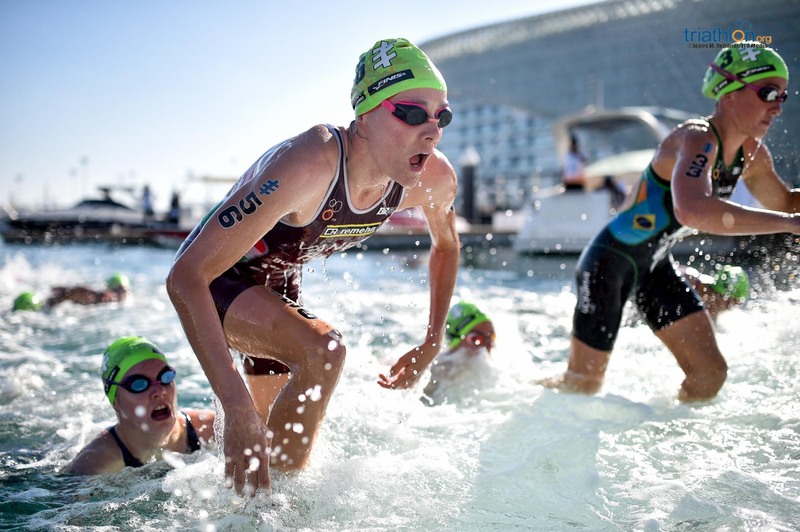 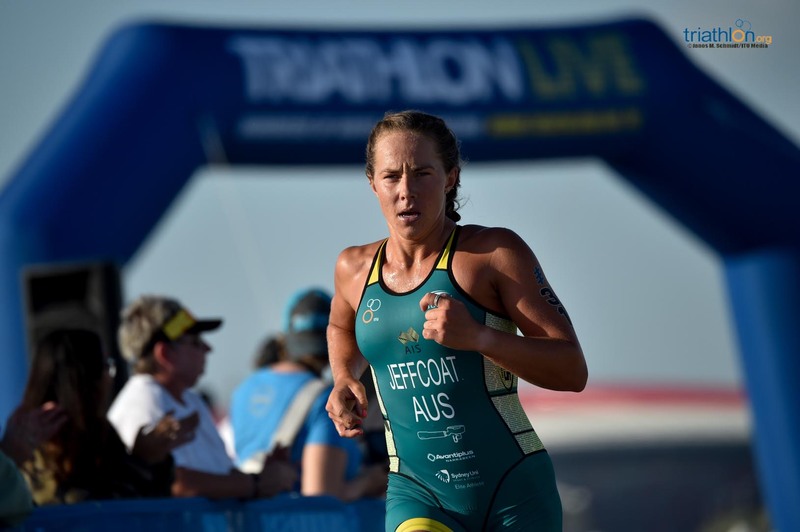 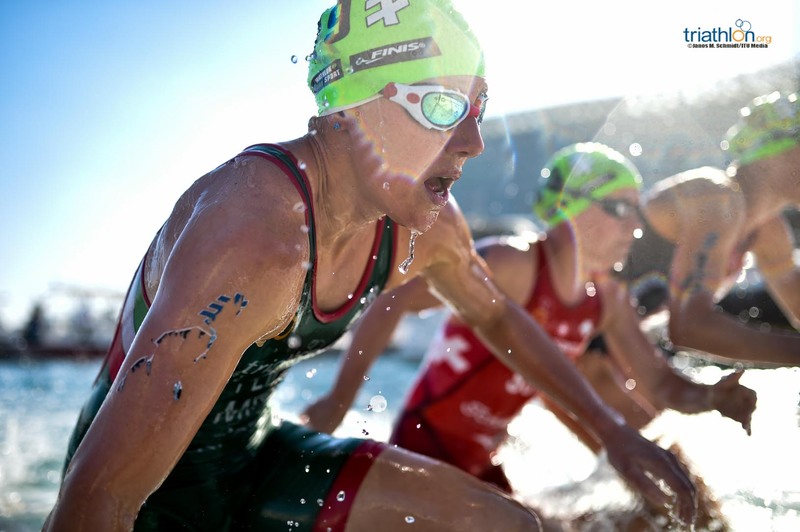 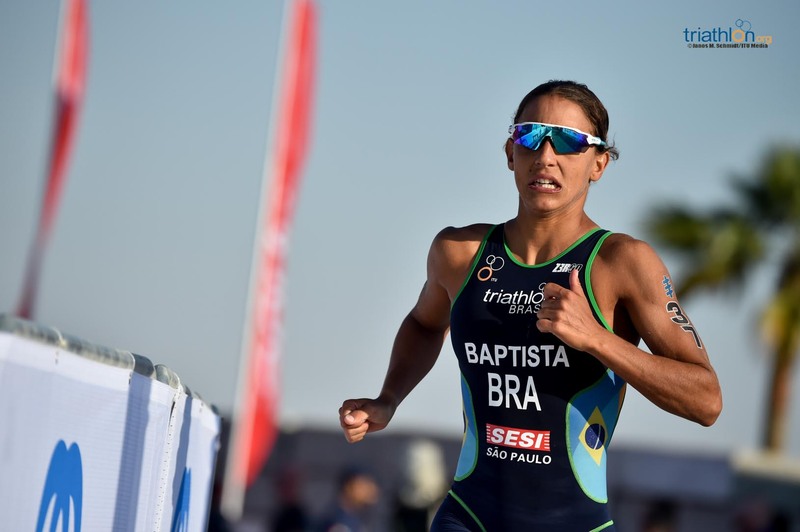 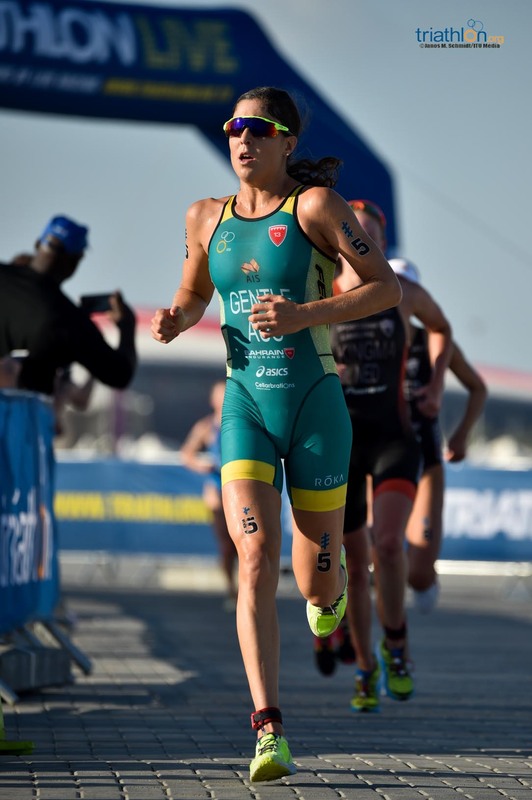 The Brit looked unfazed and hung on the defending champions shoulder, while behind them Henri Schoeman was eyeing third. 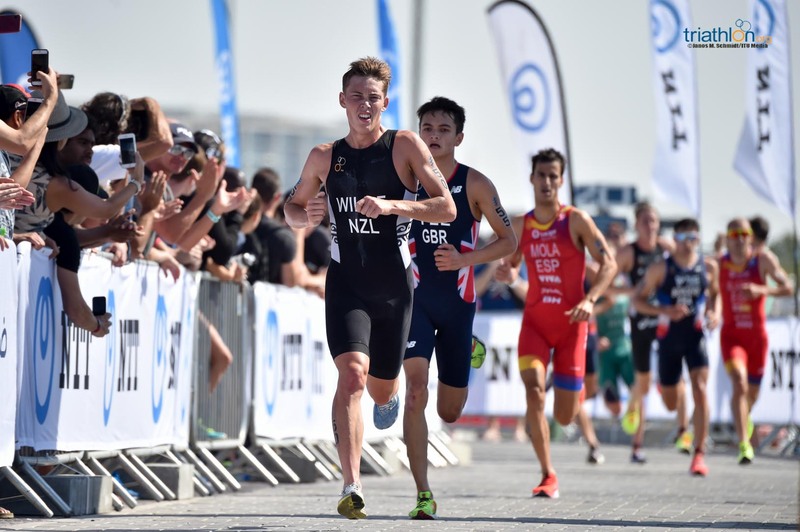 As the Kiwi almost inevitably blew up from that almighty early solo effort, it was to be Alarza who then closed down Wilde with 750m to go and also passed Schoeman, before a sprint finale saw Leo Bergere outsprint the South African, Luis and Ward to take fourth, Hayden Wilde eventually finishing 10th after a brilliant opening effort of the new season.